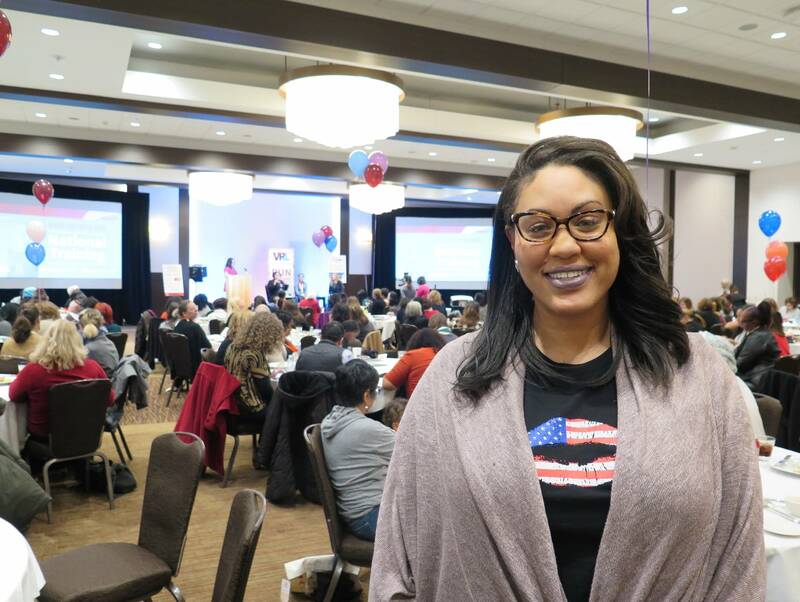 This weekend, women from all over the country gathered at the Millennium Hotel conference center in downtown Minneapolis with one goal in mind: to run for office. 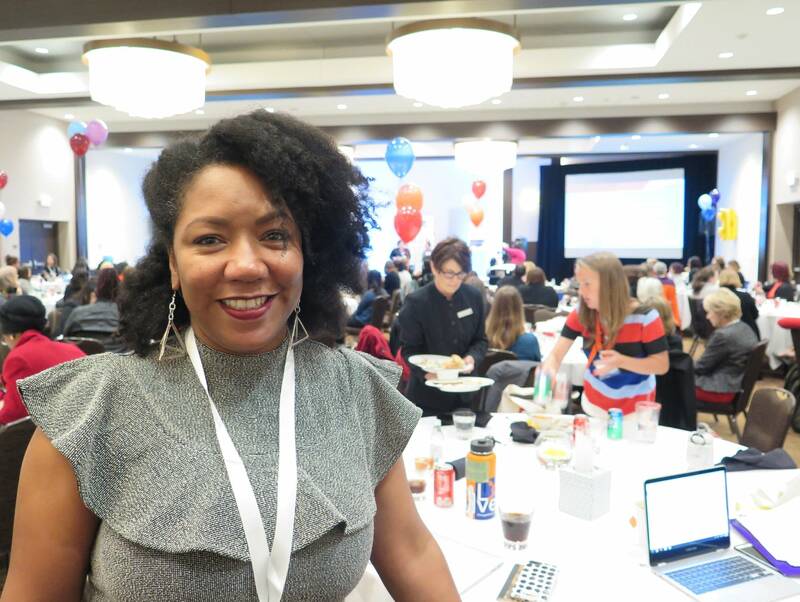 "Now is our moment and our time and it's a really exciting movement to get women who want to give back to their community in seats of power," said Faith Winter, a training director with the non-partisan organization Vote, Run Lead and a representative in the Colorado legislature. She's been training women to run for office since 2005, but said over the last year and a half, she's seen a "sea change." Other organizations have reported increases in female candidates. Emily's List, which supports Democratic political candidates, said more than 20,000 women have reached out to its organization about running for office since last November. Vote, Run, Lead, a non-partisan organization, reports from the county level up to the presidency, about 71 percent of elected officials are male. In the Minnesota legislature, 68 percent of members are men. 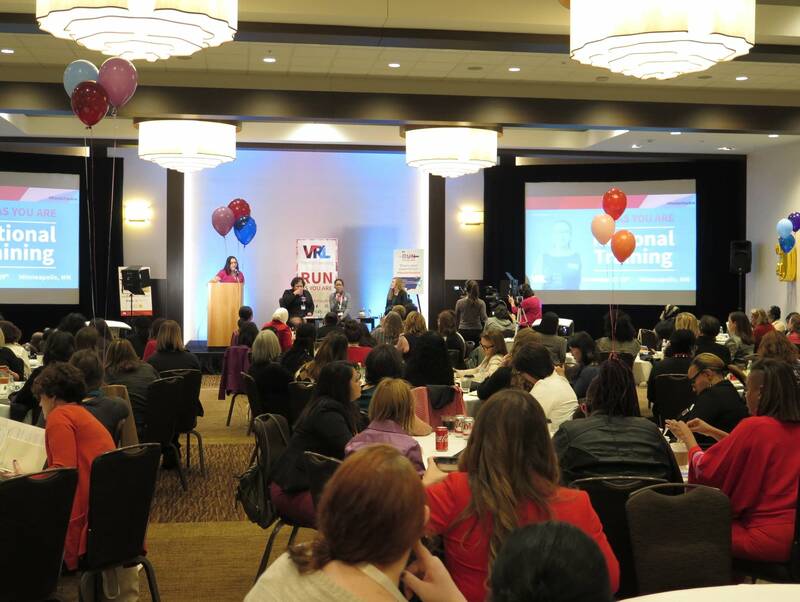 Vote, Run, Lead's national event in Minneapolis brought in women from 33 states for training, to hear speakers and even to try out stump speeches in front of an audience. De'Vonna Pittman, of New Hope, is interested in running for higher office, but hasn't made a decision on which office to seek. "Women are needed, more than ever," she said. And for her, there was encouragement in being in a room full of women intent on getting into politics. "When I stepped in this room, the euphoria, the energy - they make you feel like you can do the very thing you were created to do." But also on the mind of many, are a seemingly endless series of sexual misconduct allegations, including several in the political world - against Minnesota Sen. Al Franken, against Alabama U.S. Senate hopeful Roy Moore and within the Minnesota legislature. Winter said it's a topic people have been talking about. "There are women that are watching the #metoo movement and realizing that it's happening in state capitols all across our country and saying, 'Well, I want to be there because I won't do that. I can change the culture and its up to me to go there,'" she said. "But they also understand that in politics, there is harassment." Tamara Flowers, who works in St. Paul Public Schools, said the recent reports have given her pause. But she feels it's important that women enter politics, not only to change the culture, but to make way for the next generation. "I think it's very important because I know that I'm worthy and I know that all these women who are with me today are worthy as well," she said. "So I think it important because I want to each my four daughters that they are worthy too." Flowers hasn't made up her mind about which office she'll run for, but she's exploring options within St. Paul including city council and school board.